Designed for stability, comfort, and storage, the SynergyVI tandem kayak is all about big adventure. 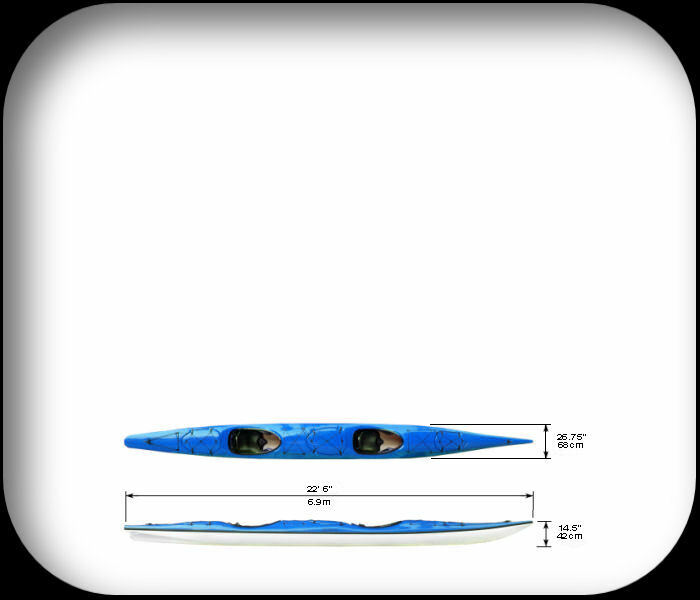 This new breed of tandem kayak features a twin-keel hull for a smooth and exceptional ride. Three huge storage compartments have more than ample room for those long adventurous journeys. The remarkable ride of the SynergyVI, enticing looks, and massive cargo space make it the ideal tandem for your next adventure on water. The SynergyVI offers everything the Synergy Safari has except in a smaller package. - Light weight urethane fiber matrix end pours. - Unique lockable hatch system. - Impact resistant molded rudder stop.